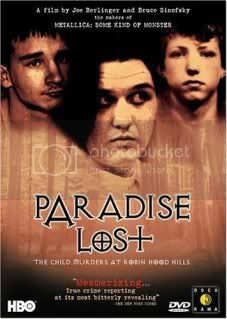 With Paradise Lost: The Child Murders of Robin Hood Hill (1996), directors Joe Berlinger and Bruce Sinofsky explored the particulars of an Arkansas murder case involving three young men. The filmmakers had unprecedented access to the case, where they filmed various points of the investigation and the courtroom hearing itself. 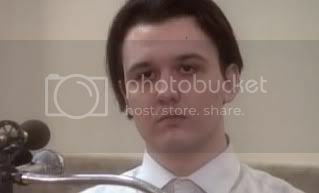 Upon viewing the picture, it was immediately understood was that the three young men, Jason Baldwin, Damien Echols, and Jessie Misskelly, were wrongly accused of the crime. Insignificant details like clothing, music preferences, and religion played a pivotal role in their conviction. 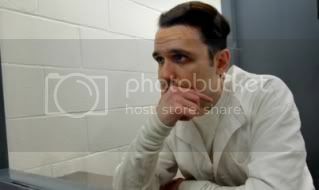 By the film’s end, Misskelly and Baldwinwere given life sentences, while Echols was sentenced to death. Four years later, Berlinger and Sinofsky kept the case alive with Paradise Lost 2: Revelations (2000). The documentary explored the widespread affect that the initial film had, whereupon interest on the case reached a national level. Berlinger and Sinofsky explored the problematic investigative techniques utilized by West Memphis police, and the growing concern that John Mark Byers, a victim’s stepfather, was perhaps the killer. The documentary was problematic, largely for the hypocritical insinuations it made of Byers, but it succeeded in so far as addressing the growing concern of sentencing a man to death despite the lacking evidence. InParadise Lost 3: Purgatory, Berlinger and Sinofsky bring the trilogy to close, as the discovery of DNA evidence excluding the West Memphis Three has been entered for appeal. For those familiar with the initial two films, there’s not a whole lot of new ground to explore here – despite the introduction of DNA evidence, the case and the people involved have been dwelling in a period of stagnation. But this period of stagnation allows the audience to grasp the severity of the case. 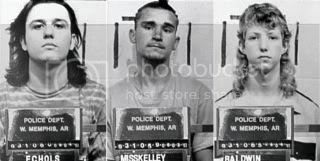 Berlinger and Sinofsky keep their eye averted from the West Memphis Three for most of the earlier portion of the film, instead delving into the history of the case. But when we do see Baldwin, Echols, and Misskelly, there’s a level of emotional gravitas to the situation that is hard to ignore. The three exhibit weariness on their faces, yet their conviction toward being freed gives them a remarkably optimistic glow. 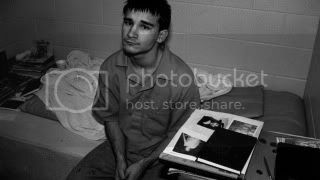 Still, as Echols explains that he has arthritis and Misskelly reminisces about times with his father, the injustice on display becomes difficult to handle – these guys have essentially spent half their lives imprisoned for a crime they did not commit. Berlinger and Sinofsky examine various aspects of the criminal investigation that weren’t elaborated on in the previous films, all serving to reinforce the notion that the Arkansas police and judicial system refuses to be wrong on their conviction, despite the mounting evidence against them. But as with Revelations, Berlinger and Sinofsky attempt to play detective by scrutinizing Terry Hobbs, the stepfather of a victim. The case mad against Hobbs is somewhat stronger than that made against Byers, but the accusations are too broad and far-reaching, all of which add to a disapprovingly hypocritical tone to the picture. Analyzing the pictures on a whole though, it can’t be argued that the films are of a rare variety. They initiated social awareness of a case that would have undoubtedly been forgotten. And while Berlinger and Sinofsky are hardly the most astute filmmakers, their unpolished technique lends itself to the material. Disregarding any analysis of filmmaking, the simple fact is that the film directly saved an innocent person from being killed. That, in itself, is a remarkable achievement.